Old City is home to many art galleries and boutiques. It will almost certainly come as news, even if you don't live under a rock, that the United States unofficially celebrates March 2 as National Old Stuff Day. The people who produce these calendars are not really sure why, but, hey, why not? Philadelphia is teeming with old stuff that dates back at least as far as 1682, when William Penn and his Quaker friends established the "large Towne or Citty" that would best accommodate navigation of the Delaware River. More than three centuries later, Philly has expanded to the point where we have an entire district dedicated to our old stuff. The Old City Historic District was added to the National Register of Historic Places in 1972 and today maintains a tasteful medium between reverence for the past and modern attractions. 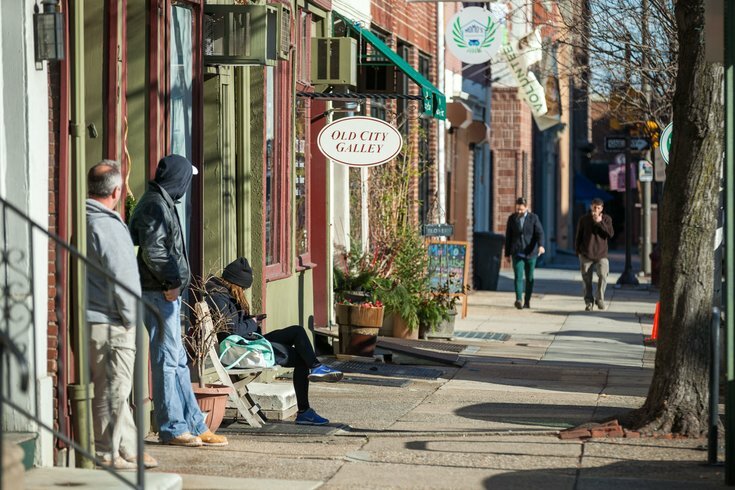 In honor of National Old Stuff Day, here are five great activities to check out in Old City. 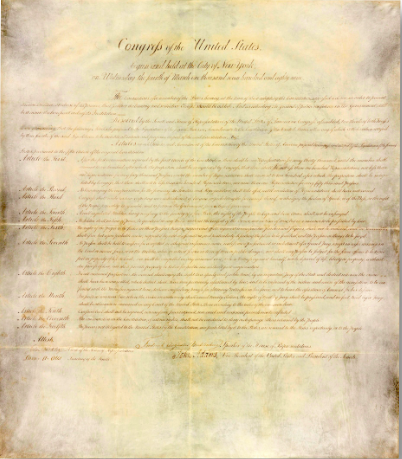 Original manuscript of the Bill of Rights. In 1788, James Madison, Father of the Constitution, wrote in Federalist No. 40 that our founding document would be "of no more consequence than the paper on which it is written, unless it be stamped with the approbation of those to whom it is addressed." One year later came the Bill of Rights, the first 10 constitutional amendments produced on 14 original manuscripts, one for the federal government and one for each of its 13 states. Pennsylvania and three other states lost their originals (old stuff, always getting lost! ), so, in 2014, to celebrate the 225th anniversary of the Bill of Rights, the New York Public Library loaned its manuscript to the National Constitution Center, where it will remain until 2017 for the exhibition, "Constituting Liberty: From the Declaration to the Bill of Rights." If the experience inspires you, schedule a date to take the Constitutional Walking Tour, which covers everything from the Liberty Bell and Carpenters' Hall to Signers Garden and the Betsy Ross House. 'Funnyman' at the Arden Theatre Co.
Last fall, Theatre Exile's critically acclaimed adaptation "Rizzo" transported viewers into the life of Philadelphia's rambunctious former mayor and police commissioner, just prior to his untimely death. Bruce Graham, Philly's pre-eminent playwright, is back at it again with Arden's production of "Funnyman," the story of a played-out vaudeville comic who tries to revive his career and shield his daughter from the knowledge of unpleasant old stuff in her childhood. Actress Emilie Krause, the only female cast member, plays Carnegie Hall archivist Katharine Sherman, who deals in old stuff as her father develops a play within the play. Reflecting on early rehearsals, Krauss described the poignant foreshadowing of the second scene and how she adjusted her performance to perfect the attitude of her character. Also showing at Arden Theatre Co. this season are Jorge Cousineau and Terrence J. Nolen's "The Secret Garden" and a kid-friendly, wonderfully aged production of "The Stinky Cheese Man." Jules Goldman Books & Antiques. Naturally, the best place to find old stuff is a great antiques shop. 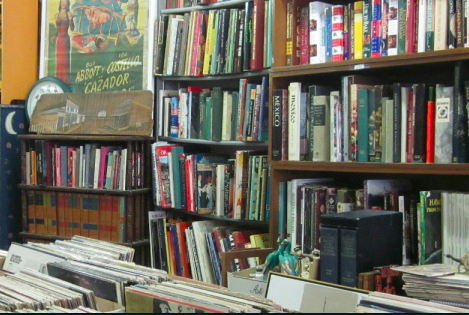 Old City's Jules Goldman Books & Antiques has it all, from rare, used and out-of-print books – in particular, art collections – to sheet music, framed paintings, sculptures, vinyl, postcards and vintage photographs. Once you reach the back of the store, you'll find Barbara Blau's Collectables, a more antiques-focused shop carrying a trove of estate and vintage costume jewelry, retro home decor, photography and vintage eyewear. The Olympia and Becuna on display at the Independence Seaport Museum. 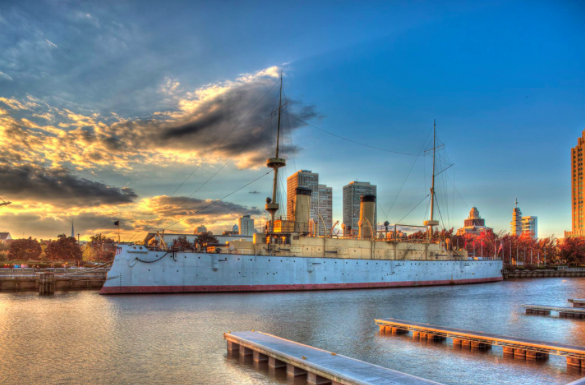 There are few experiences in Philadelphia as tranquil and emblematic as a stroll along Penn's Landing marina at the Delaware River waterfront. While you're in the area, the Independence Seaport Museum offers a compelling look at America's maritime history, from its rotating exhibitions to the massive docked ships on display: the cruiser Olympia (the oldest steel warship afloat in the world), the submarine Becuna (built in Philadelphia for the Navy) and a model of the schooner Diligence, a 1797 topsail vessel that the museum is reconstructing from scratch to pay tribute to the Navy's roots in Philadelphia. Current exhibitions at the Independence Seaport Museum include "Tides of Freedom: African Presence on the Delaware River" and "Disasters on the Delaware: Rescues on the River." Once the spring season rolls in, be sure to hop on the Riverlink Ferry, whose services will be expanded under the management of the Delaware River Waterfront Corp. Constructed by architect William Strickland in 1837, the National Mechanics building has taken turns as a bank, a church, a social service center for sailors and several clubs and bars, from punk and glam legend Club Revival to Coyote Ugly and Foggy Goggles. 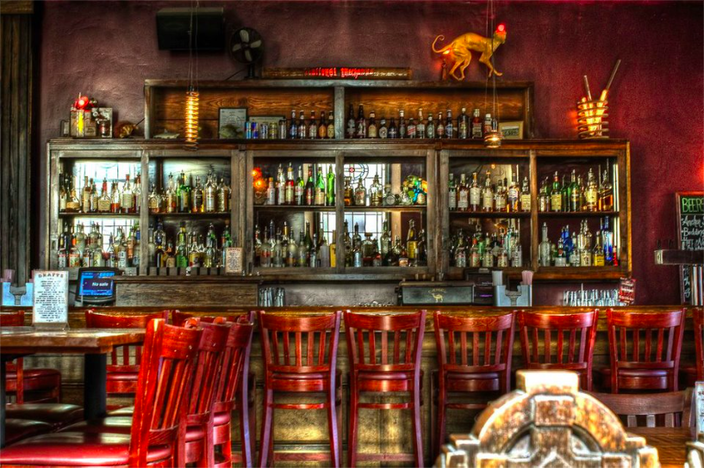 Today, the Gothic structure is home to Old City's most lively bar and restaurant, National Mechanics. Up the staircase and past the pilasters, you'll find 32 varieties of drafts and bottles; first-rate menus for brunch, lunch and dinner; and a kind, fun-loving staff who will make you feel at home. Inside, the building's vintage decor has been preserved with a hand-modeled bar, homemade lighting fixtures and other odds and ends that pay alluring tribute to the wares of mechanical handicraft.